Scientific research has traditionally been the domain of boffins in research institutes, but a new wave of scientists are mobilising the public. Join our panel to discuss how citizen science works, and how you can get involved in exciting science projects that are truly making a difference. 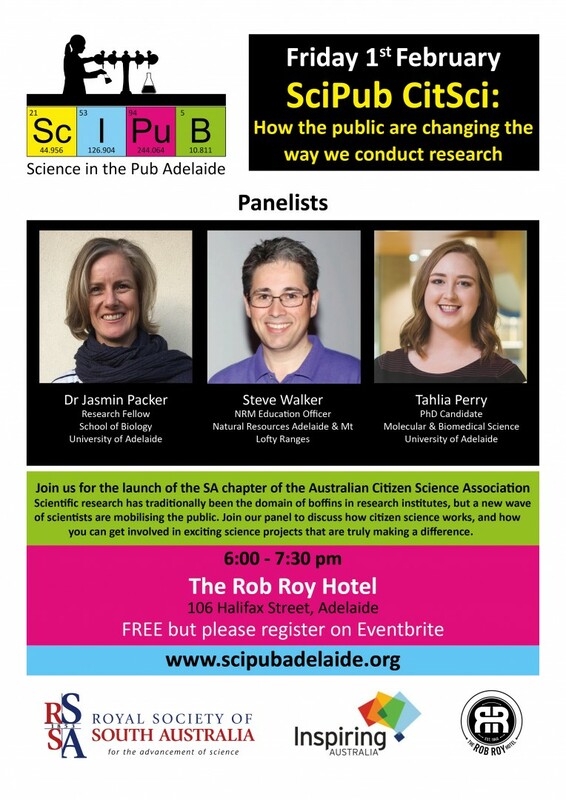 At this SciPub event on Friday February 1, the South Australian chapter of ACSA formally launches. Head along to hear about some local projects you can take part in, and find out how citizen science is revolutionising how scientists collect and analyse data. Everyone welcome!